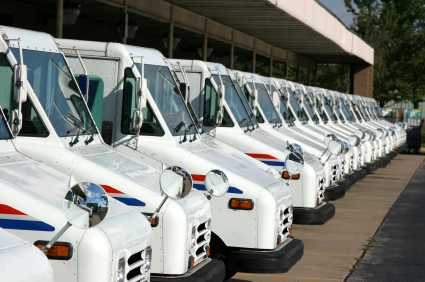 The US Postal Service announced last week that it plans to close the Buffalo mail processing center as part of the cost-cutting measures it will implement to strengthen it’s bottom line. The USPS has been bleeding money for years and now drastic measures are needed. Early estimates are that it will result in the loss of 200+ jobs. Wow, more people losing their jobs in Buffalo. Join the club. You’re not the first nor will you be the last. But what I really get upset about is our local politician, in this case Rep. Brian Higgins who is questioning the accuracy of the projected savings and why only Buffalo and not Rochester was considered to close. Buffalo is not exactly a central location for shipping to other parts of the state. Does it really matter anyway where our mail comes from? Most of it is junk. The Postal Service is paying money, good money, to deliver it to our homes and we turn right around an throw it out. How many credit card, bank, magazines, etc. do I want? And if it starts coming from Rochester instead of Buffalo, oh well? Instead of clamoring to save a system that has not kept up with technology, start finding new jobs that utilize that same technology and create new jobs, like all politicians promise to do, but then never make it happen. Quit whinning about how we are such a depressed area and people are always leaving Buffalo. Be part of the solution, not the problem. But now it is reported that Mr. Higgins is so livid with the report that he has asked the inspector general of the Postal Service to review the postal study of the Buffalo center. Does he realize the USPS has targeted 223 processing centers for closure nationwide? What does Rep. Higgins think that is going to change? If I’m one of the 200 people that are due to lose their jobs, don’t hold your breath. And get your resume ready? And oh yeah, there are few jobs out there for people whose job experience is sorting mail, junk mail, junk mail at that!